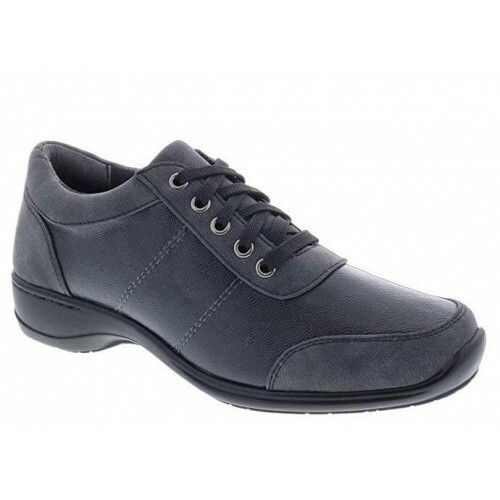 If you suffer from sensitive feet due to diabetes, plantar fasciitis, bunions or ball of foot pain, then our wide selection of diabetic shoes for women and orthotic shoes for women are perfect for you. 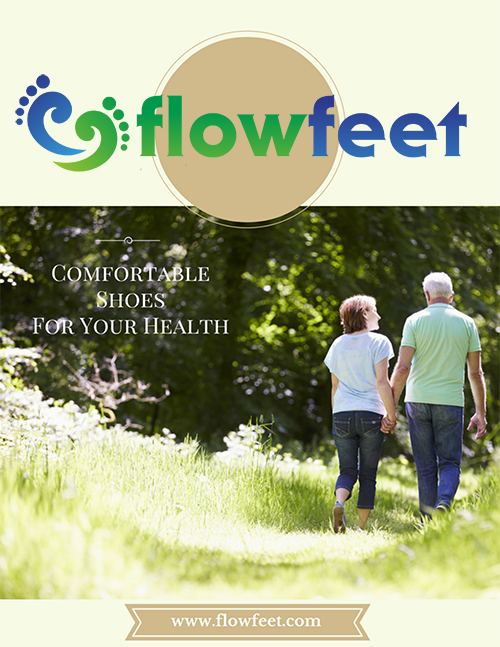 Our vibrant collection of wellness shoes and sandals seamlessly walk that fine line between fashion and orthotic support with grace and precision.Discover the key to a comfortable walking experience time and time again with Flow Feet. Casual There are 354 products. For an on-the-go, warm summer day, look no further than the Vionic Daisy. The lightweight, strappy sandal goes perfect with your summer getup. 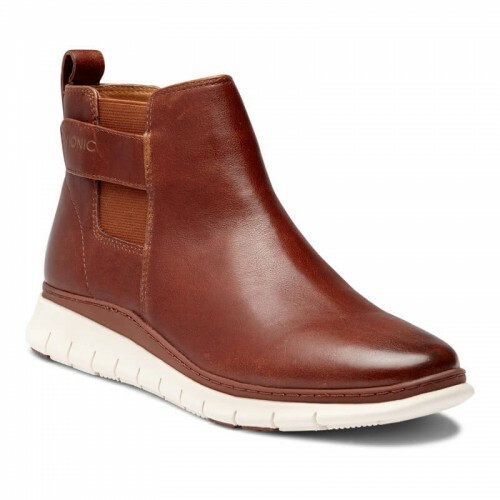 Walk around with ease in the leather wrapped insole that cradles your feet for a therapeutic feel. The Daisy is ready for you to get the summer activities started! Slide into summer with the Roni sandals! The four ruffled layers across the tops of your feet hide a key feature - an adjustable hook and loop strap. Adjust the wide suede strap to a fit made for you. 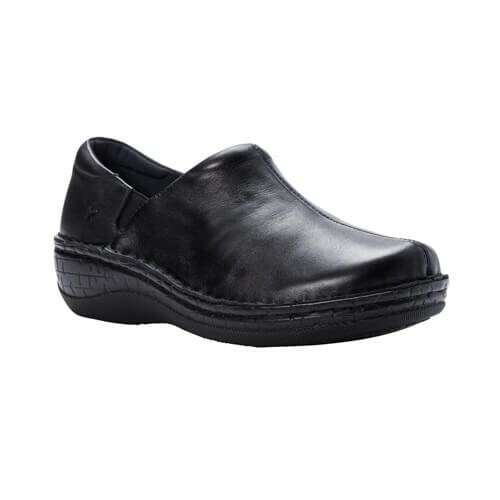 The contoured footbed reduces stress on common pressure points and helps relieve heel pain. Look great and feel even better in the Roni! Fall in love with the whimsical design of the Azalea. Inspired by the ocean waves, the ruffled criss-cross strap gently glides over the top of your feet for a comfortable, secure fit. The contoured footbed cradles your feet for a therapeutic effect like a serene, Spring day. in the Azalea, feel the magnificence of the design and elegance of the style! A sandal that you can adjust exactly to your liking. The three adjustable straps at the toe and ankle give you the ultimate conformity that you will love. The Kayan brings its "A-game" with the leather canvas uppers and saw tooth ridge bottom outsole. Go far with the Kayan! Get summer-ready with the Violet! It's three narrow straps at the toe give this sandal a minimalist feel and look while being a sturdy sandal - ready for activities! 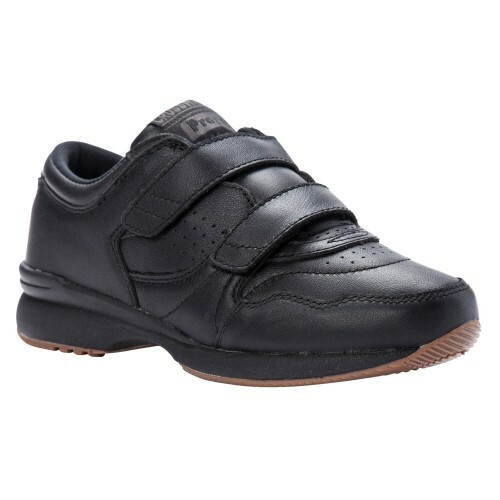 Fit and sit your foot comfortably with the adjustable ankle strap and contoured footbed. Plus, feel the stability and traction with the rubber saw tooth ridges on the bottom outsole. A classic cross strap slide sandal that won't let you down. The Hayden features wide crossed straps and rubber saw tooth ridges on the outsole for traction. A clean, beautiful design on a 1.5" platform and built-in deep heel cup footbed that cradles your foot for all-day comfort. You won't regret putting on the Hayden! The Calypso is a beautiful nautical style shoe. Under the tongue of the shoe, you’ll love the stretch gore for a custom fit. Also, the tie less laces work great for anyone wanting a shoe they can slip on and simply go. 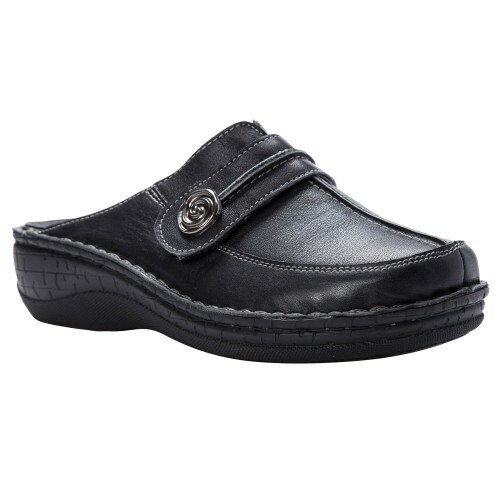 The padded footbed will have you walking all day and feeling great. So grab your Calypso shoes and head to the nearest boat dock! 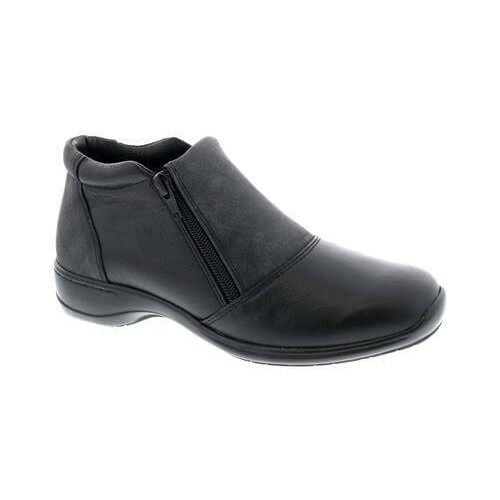 The Superb Comfort casual ankle boot is made with two zippers for easy entry into the shoe. 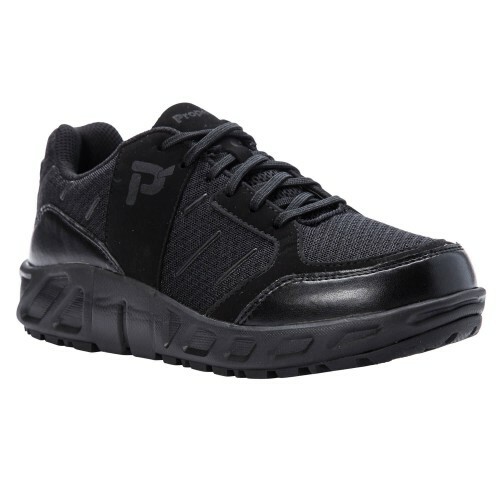 Enjoy the padded collar and removable cushioned insole. Additionally, the Superb Comfort ankle boot comes in 5 width options for those needing a perfect fit. Wear with long skirts or pants cuffed at the ankle. The sporty Sealed casual shoe is the perfect oxford featuring all-over laser cutouts for breathability. 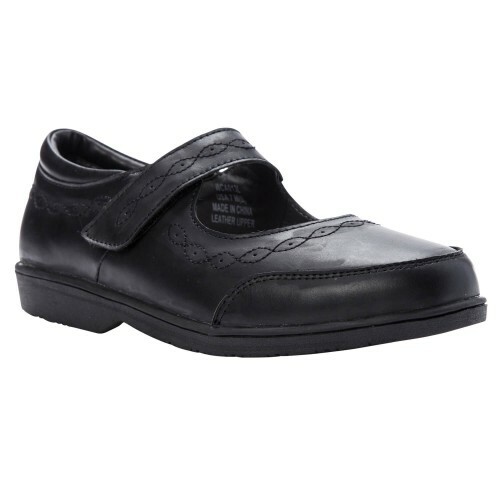 Enjoy the Drilex ® covered footbed and removable cushioned insole which allows for a custom fit. Additionally, the Sealed casual shoe comes in 5 width options for those needing a perfect fit. Wear with long skirts or pants cuffed at the ankle. 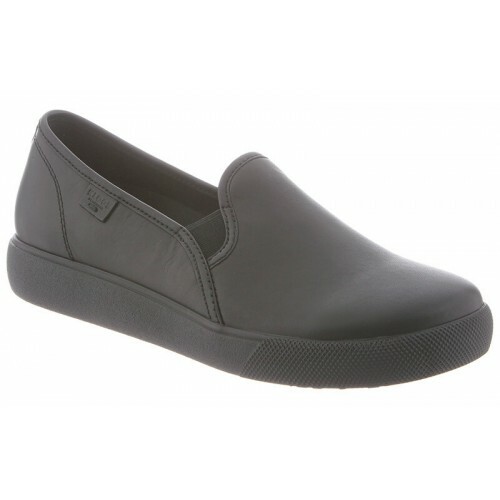 The Shoenanigan casual shoe is the perfect slip on shoe made with supple leather and a stretch gore on the center strap. Enjoy the removable cushioned insole which allows for a custom fit. 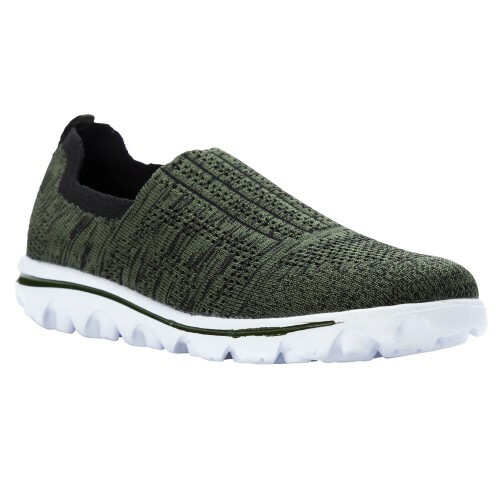 Additionally, the Shoenanigan casual shoe comes in 5 width options for those needing a perfect fit. Wear with long skirts or pants cuffed at the ankle. The Stroll Along casual shoe is made with a Drilex ® lined removable insole to keep your feet cool and comfortable all day. Enjoy the padded collar and easy lacing system. 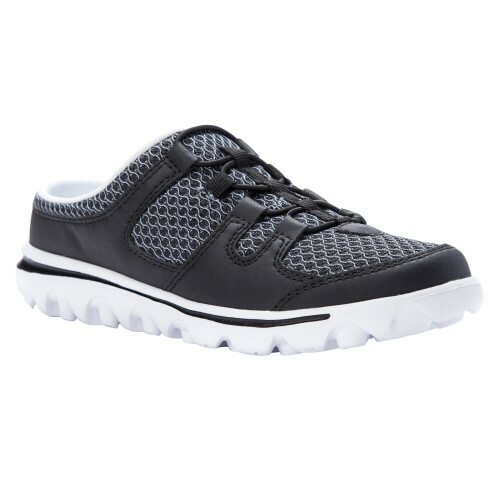 Additionally, the Stroll Along casual shoe comes in 5 width options for those needing a perfect fit. The Cozy features a unique twist on a ballet style shoe. The cross-straps across the front allow the ultimate in flexibility while the fully cushioned footbed soothes your feet while walking. 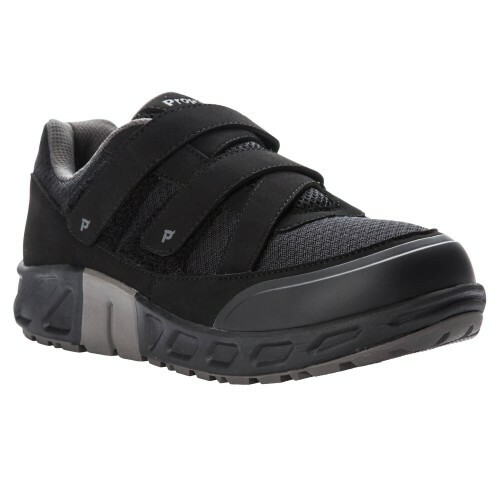 These shoes are perfect for those with an active lifestyle. Slip them on and head to your favorite park or book store. You’ll love these super cute comfy shoes. The Venture sandal features the perfect blend of chic and comfort. Enjoy the open toe design and the sling-back adjustable strap at the ankle. 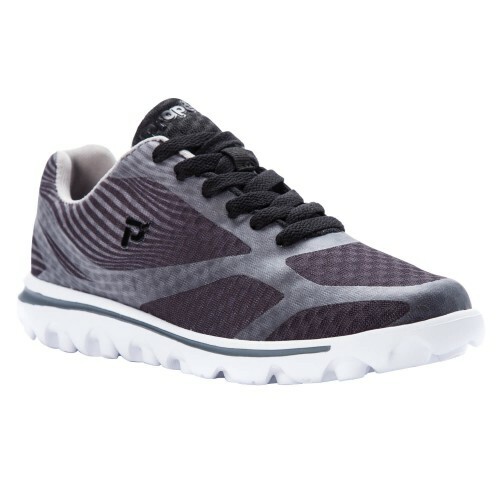 The fabric instep offers support and comfort for all day wear. Take a short stroll to your favorite coffee shop in these beautiful sling-back sandals. The Virtual dress sandal is well made and pretty. Enjoy the sling-back adjustable strap at the heel and the stretch straps at the ankle. The lower heel height of 1.25” gives you just enough height to feel dainty without compromising on comfort. Wear them with a long skirt or dress or an old pair of boyfriend jeans cuffed at the ankle. These active sneakers are simply precious. They look great with workout pants and shorts. You'll love the removable footbed that allows you to insert your own orthotics. 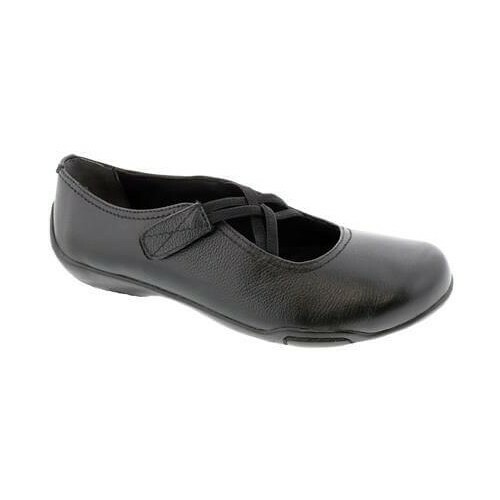 These shoes come in a variety of widths ranging from Narrow, Medium, Wide, and Extra Wide. The Travelwalker EVO is flexible and light. You'll be gliding through your activities in no time! Look at these beautiful Mary Janes. The Travelactiv Mary Jo comes in bright fun colors and features a removable footbed to allow you to insert your own orthotics. 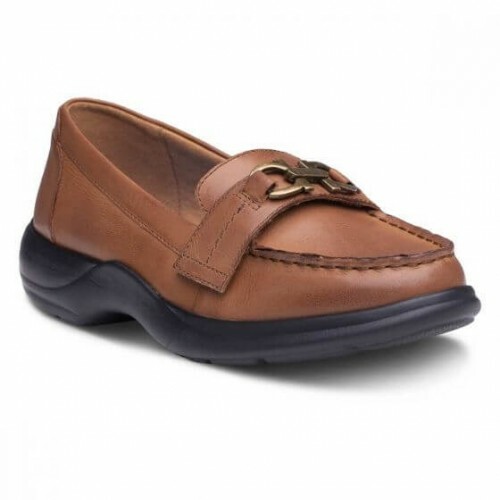 These shoes come in a variety of widths ranging from Narrow, Medium, Wide, Extra Wide, and Extra-Extra Wide. Flexible and fun you'll love these light-weight easy to wear shoes. 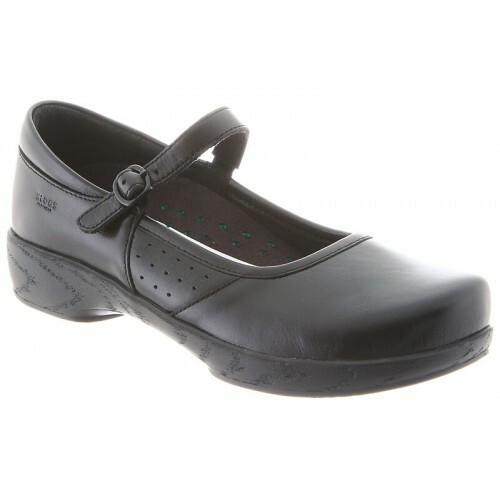 Cute and slip resistant, the Jessica is perfect for the lady on her feet all day. 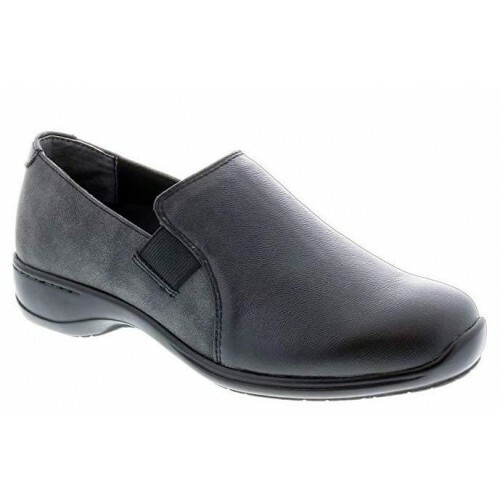 A great occupational shoe for comfort and functionality. 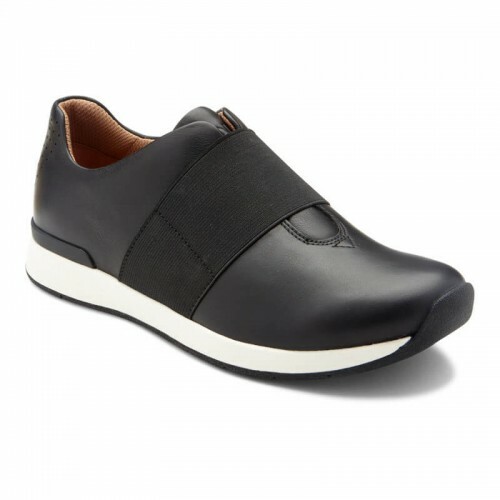 Enjoy the removable footbed which allows for insertion of custom orthotics. The Jessica comes in a variety of widths including Medium, Wide, and Extra Wide. 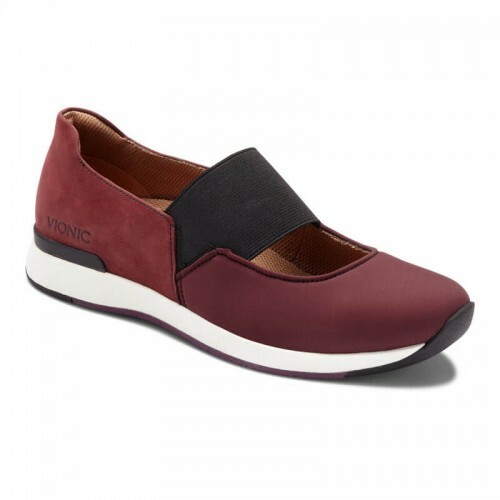 The Vionic Emerson features a classic gender-neutral design in this shoe. The pull tab at the rear of the shoe makes them easy to get on and off. The insoles are the quality and support you can expect from Vionic's podiatrist-designed orthotic. 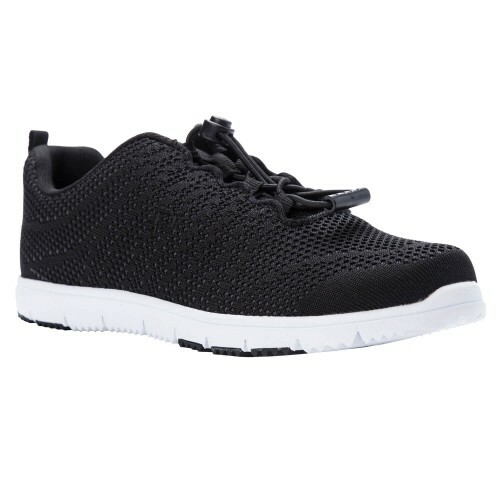 Enjoy the simplicity and functionality of the Vionic Emerson active sneakers. 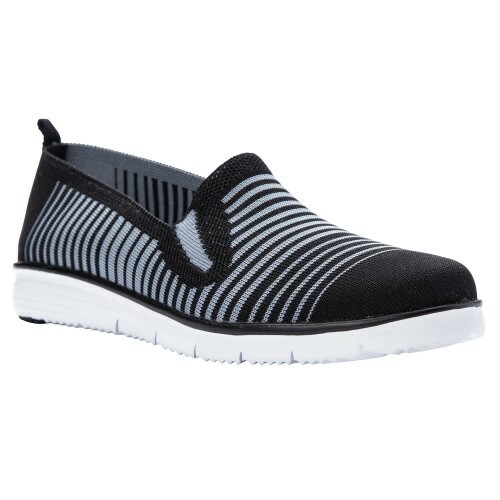 An athletic style slip on shoe with an elastic strap across the top make this shoe perfect for the lady on the go. 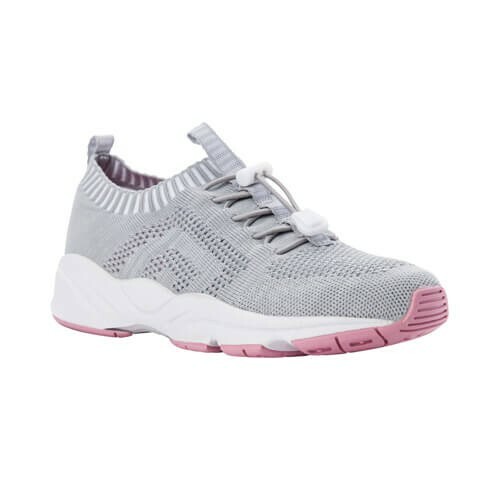 Easy to slip on and great for all day wear, the Cameo will keep you walking in comfort. 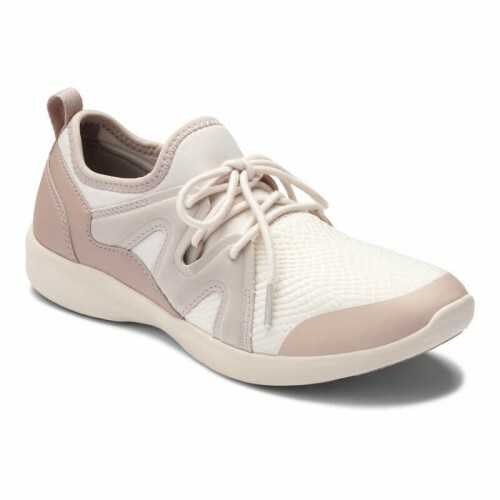 An athletic style version of the classic Mary Jane style shoe, the Cadee offers a convenient elastic strap across the top of the shoe for the ultimate in comfort and adjustability for your instep. 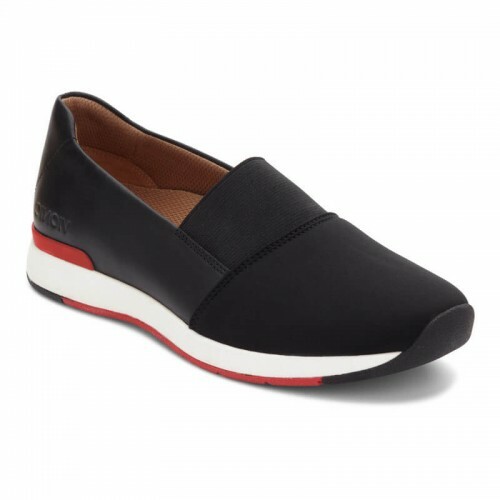 A modern twist on a traditional slip on style shoe, the Codie boasts a convenient elastic strap across the top of the foot for a custom fit as well as a removable footbed to accommodate your own orthotic. Truly where fashion meets style. The Kani is a simple, beautiful, and easy to slip on shoe. Wear with skinny jeans, or linen pants, or even shorts. The look is versatile, and the quality is what you expect from Vionic. Enjoy the perforated uppers for added breathability and the Orthaheel technology for natural lower body alignment and comfort. A sporty look with a modern flare, the Cece is on the forefront of shoe design. The elastic band around the ankle offers flexibility in this area for an adjustable fit and comfortable feel. 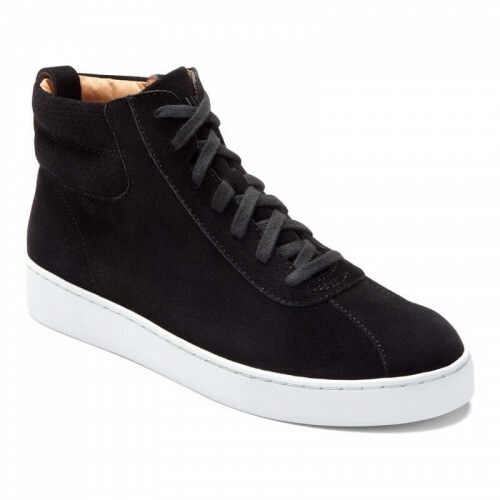 Stay fresh in these easy on and off sneakers with the weather resistant leather or nubuck uppers. Stand out in the Vionic Jenelle Mule! This women's mule design features a bejeweled strap across your foot for an elegant look while maintaining its comfort casual status. 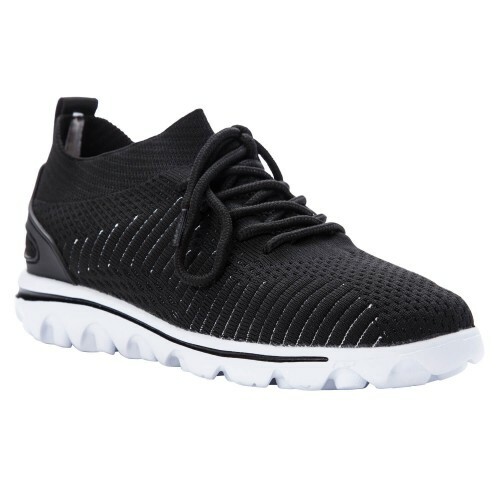 Plus, the contoured foot bed will have you feeling great - even with all day wear. Put a dazzle in your life with the Jenelle! 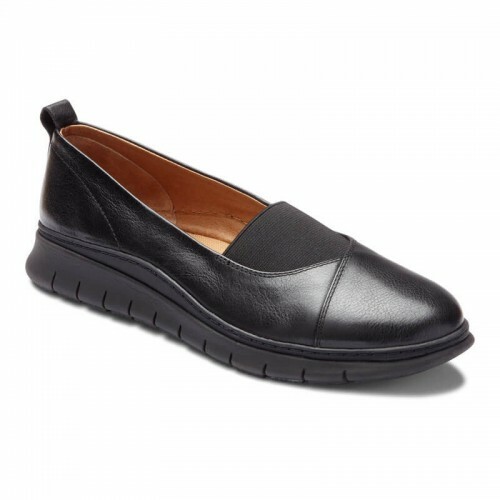 Are you looking for the classiest slip on mule you can find? Well, you've found it! The Vionic Claire mule is made with the highest quality suede, a microfiber footbed, and comes in a variety of colors to match just about anything in your wardrobe. 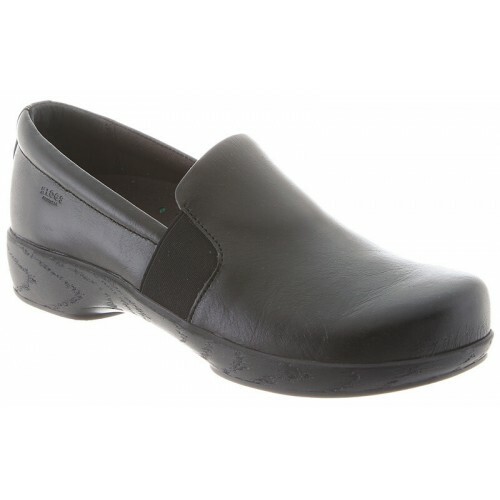 Enjoy the comfort of the podiatrist designed insole and easy slip on style of this shoe. The minimalist design in the Vionic Moca goes a long ways! The playful perforations across the vamp serve a dual purpose of a chic design and breathability. Easily slide on and off the Moca and secure your foot with the adjustable metal buckle strap at your instep. You won't want to wear any other mule this spring and summer! If your feet are tired, ankles swollen, or just looking for something easy to slip on and off your feet, you’ll love the Dakota. The premium leather uppers and removable twill covered footbed that comes with this stylish slip on shoe make it a must have in your wardrobe. Step up your footwear with the Hilo! The luxurious "V" across the vamp and solid, quality suede leather uppers give this moccasin a sleek, low-key look with alot of bite. Trust us - once your in them, you won't want them off! 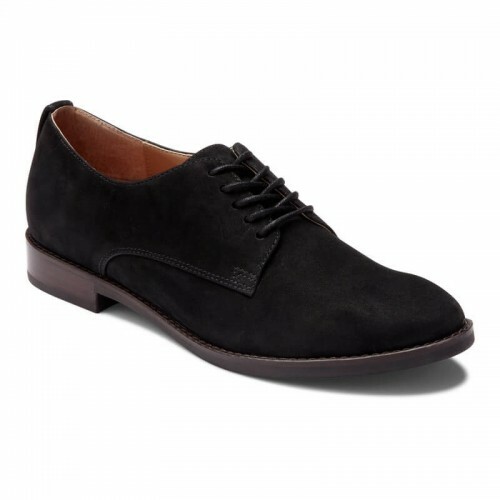 A beautiful classic oxford design with premium soft leather uppers to make your day that much more enjoyable. Add some sophistication and comfort to your wardrobe with the Weslyn's detailed stitching and removable leather foot bed. Available in black suede or tan leather.